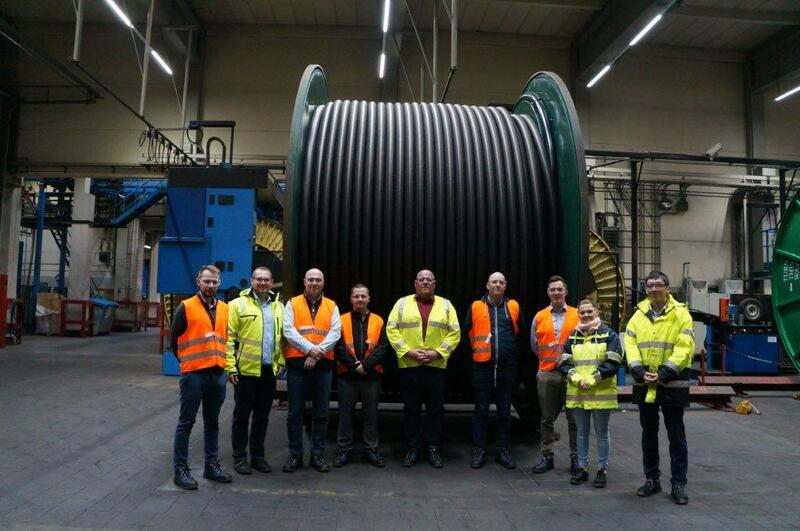 From l, Martin Walsh (Murphy), Wolfram Flebbe (Nexans), Kevin Hutton (Nexans), Christopher Allen (Murphy), Martin Knagg (Triton Knoll), Damien Eastwood (Triton Knoll), Kevin Kelly (Murphy), Agata Pustelnik (Murphy), Wei Zhu (Nexans). 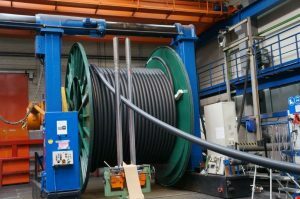 The first major electrical components for the Triton Knoll onshore electrical system have ‘rolled off’ the production line and heading for the Port of Boston. 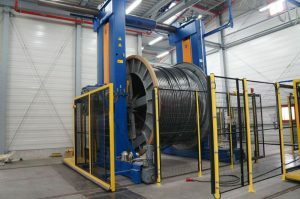 The High Voltage Alternating Current (HVAC) cables will make up the onshore cable network, connecting power from the 857MW offshore wind farm to the new onshore substation at Bicker Fen, for distribution to over 800,000 typical UK homes and businesses. 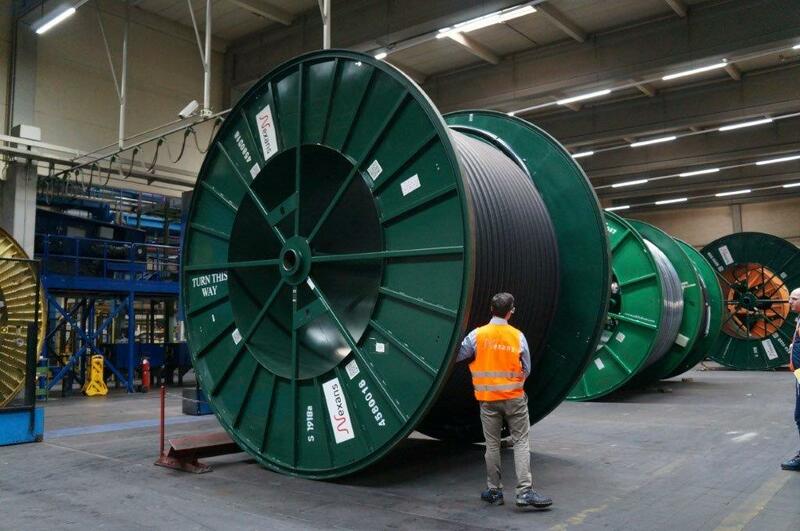 The HVAC cables are being delivered to the Port of Boston on 28 cable drums, which are typically 4.5m x 3.5m in size. 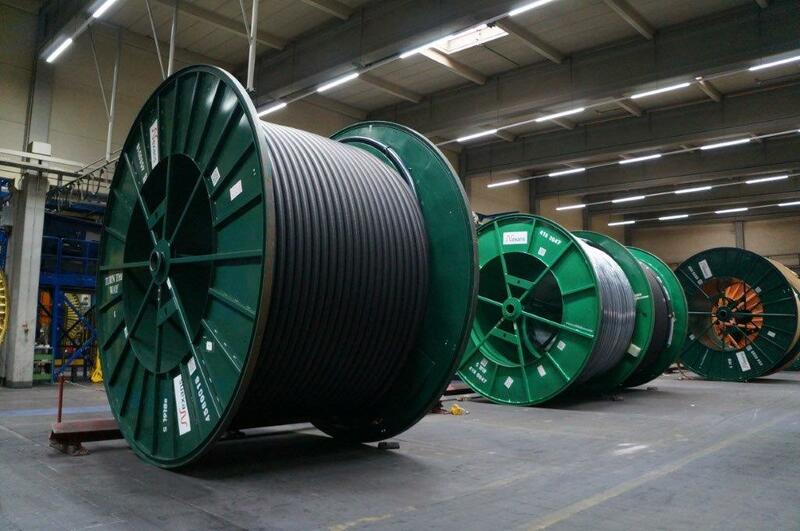 The majority of these arrive in port on Sunday 24th March 2019. 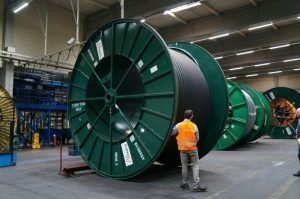 The cable drums will then be transported on heavy goods vehicles, via the A16 to a secure storage compound near to the project’s cable route. These deliveries will begin from 7.30am, from Monday 25th to Wednesday 27th March 2019, and will be staggered to help minimise effects on the road network. 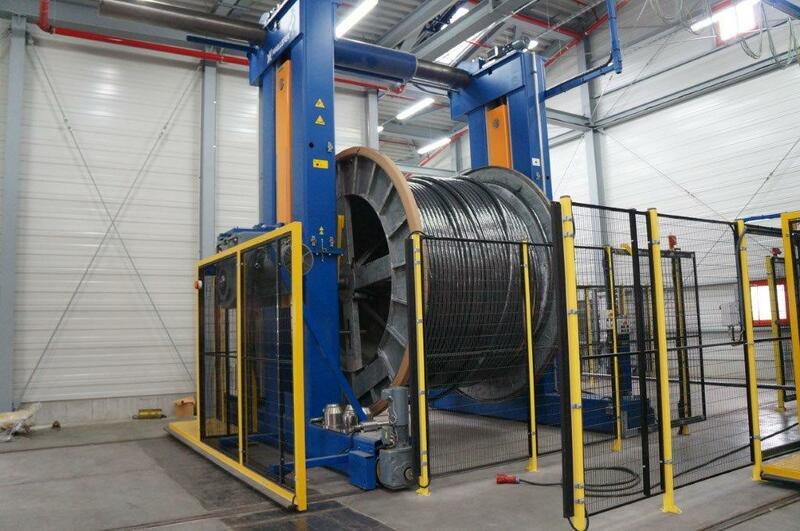 Each cable drum weighs between 17 to 26 tonnes and contains between 1,023m to 1,690m of HVAC cable. 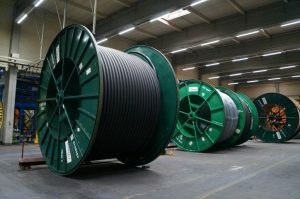 In total there are 306 cable drums required for the entire Triton Knoll onshore cable route, which collectively adds up to more than 360km of cable. 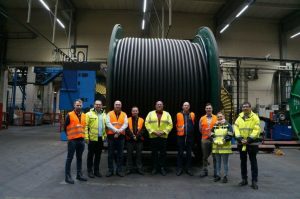 This milestone marks the delivery of the first major elements of the project’s onshore electrical system, and will be ready for installation along the cable route in summer 2019.